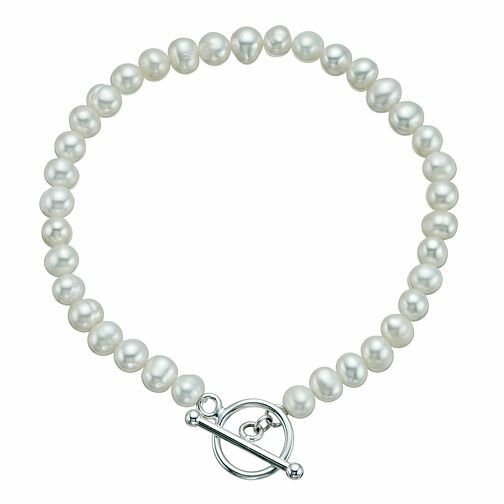 An attractive mix of classic and contemporary, this chic cultured freshwater pearl bracelet is styled with a fashionable sterling silver t-bar fastening. Perfect for everyday elegance. Sterling Silver Freshwater Pearl T-Bar Bracelet 7.25" is rated 3.9 out of 5 by 7. Rated 5 out of 5 by Anonymous from Nice bracelet Nice bracelet and good price .i will recommend this product!